India play its first game against the United States of America on 6th October at the Jawaharlal Nehru Stadium, New Delhi. 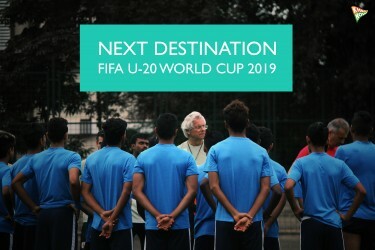 Ahead of the FIFA U-17 World Cup 2017 India, Head Coach of the Indian U-17 National Team Luis Norton de Matos sounded confident of his boys and expressed that the young colts will give it their best in the mega event which is slated to kick-off on October 06, 2017. “The players are very focused and are very proud to play for the country. All players are perhaps going to give their 200% and will play to the best of their abilities. 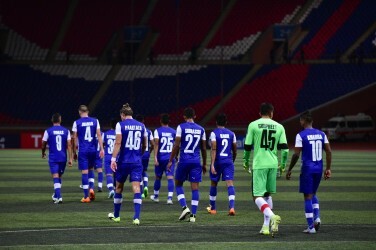 It is evident that they are raring to go”, quipped Matos. The India U-17s currently train at the Conscient Football ground in Gurugam, Haryana under the watchful eyes of the Portuguese coach and one can almost sense the high morale in the squad with less than a fortnight to go for the FIFA U-17 World Cup 2017 India. “In football anything is possible and we will take to the field keeping in mind that fact, to show the world that we belong on the same stage as them”, he added. India have been drawn in Group A of the FIFA U-17 World Cup 2017 India with USA, Colombia and Ghana, and incidentally, Colombia, the first team to arrive in the nation for the FIFA World Cup, are practising at the same training ground as India. The Indian Colts face the USA on October 06, before locking horns against Colombia and Ghana on October 09 and October 12 respectively at the Jawaharlal Nehru Stadium in the Capital. The kick-off for all matches is at IST 8 PM.